The birthplace of Greek goddess Aphrodite, Paphos is a place where ancient history combines with modern facilities to give you a complete holiday package. Standing on the Southwestern tip of Cyprus, one of the most naturally beautiful countries in the world, Paphos has a character that lies much deeper than the fabulous resorts, the beautiful natural scenery and the vast Mediterranean Sea stretching out in front of it. Paphos flights are cheap considering that it is not one of the mainstream holiday destinations for the rich and famous, but that does not mean that the experience in that city is any less. You will find that chartered planes are usually the only way to get to this city and almost all regional airports in Europe will give you enough flights to book a seat on. To be honest, Paphos is not a major town and can hardly be called a city. While you can travel through the entire city on foot, a set of wheels will definitely be a lot better on your fatigue-levels. If you want to go out of town into the less-treaded parts of Mediterranean civilisation, you will find a rental car or bike service quite handy. There are quite a few so you should not have too many issues. If you want, you can even pick up a quad bike and travel through the rougher parts of the countryside. 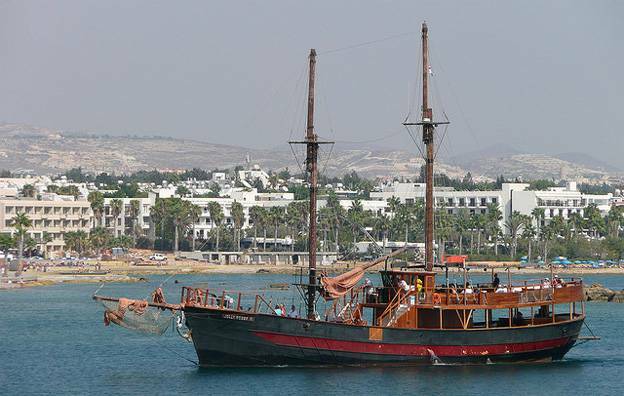 The best time to avoid Paphos is during the summer months, between late June and early September. This is when the temperature hits the mid-30s but the problem comes from the 90%+ humidity. The rest of the year is just perfect for this weather although you should find things quite chilly in January and February. History is a part of Paphos and in terms of what you need to see, The Tombs of the Kings is a place that will take your breath away. Although not a place where kings were actually buried, The Tomb of the Kings is a location where numerous high ranking ministers and officers would be buried, all across a massive area. While the tombs are no longer in an un-ravaged state, you will find a lot of examples of the brilliant craftsmanship on the walls and massive stone structures of this beautiful place. 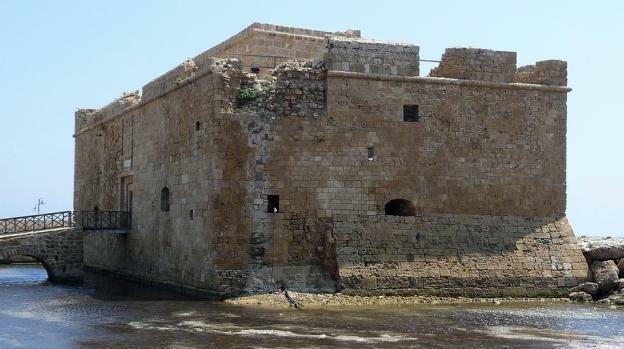 Paphos Fort is another place seeped in history. There are plenty of invaders who have flown their flag from the top of its ramparts, with the Turks being the last ones to do so in 1586 before the British took over the island as its colony. 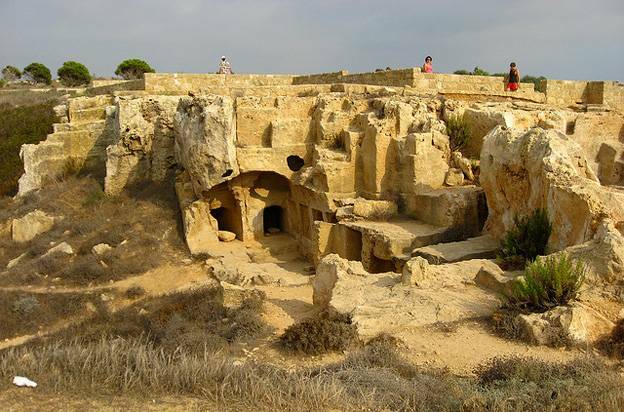 Spectacular views and a brilliant place to just stand in and take in this beautiful island’s sights, Paphos Fort is one of the most intriguing historical sites with a fantastic story. 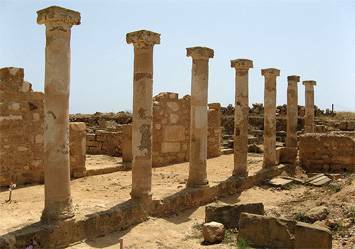 During your visit to the historical Paphos you should treat the ancient sites with respect as numerous groups of tourists have left their marks on the sites. There are plenty of other things to see and do on Paphos, including a visit to the House of Dionysos and the House of Theseus. There are many old ruins of Roman Villas that have some brilliant mosaics on display while the Tala village, north-west of this town, gives you a beautiful glimpse into the traditional life in a Mediterranean village. 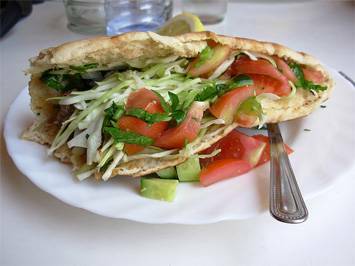 Paphos is modern enough to have international fast food chains as well as traditional enough to give you their local cuisine. If you are trying to get away from KFC or McDonalds, and also stepping away from the 5-star experience, then you can find some delectable Greek/Turkish Meze and other traditional eatables in and around Paphos. The further you head into the interiors of the region, the better your experience will be of Mediterranean food and wine. Paphos isn’t one of those bustling holiday resort towns that you see, but it is something that will give you all the pleasures nonetheless. There are excellent places to stop and grab a bite, brilliant views to quench your thirst and some fantastic beaches to make your holiday just perfect. Nothing less than paradise on Earth, Paphos should be on your list of places to visit while you still can! The author of the “Historical Paphos – Culture, Religion and Lifestyle in Paphos” Loves to travel, seeing new things and meeting new people. That was a way for Samantha to involve herself with new cultures and traditions. She loved every second of being out there with nothing but a change of clothes, a diary and a camera – recording every second of her fantastic journeys. Her bi-annual Paphos flights have given her a taste of this Mediterranean town that has, almost, become a part of her life. Samantha is considering moving to this dreamy town, and settling down to write a book on historical Paphos.